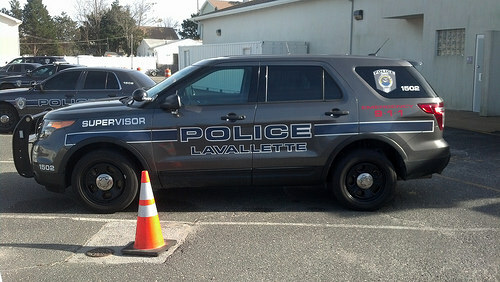 Lavallette officials are debating how to handle an increase in police dispatching overtime costs this year. According to Councilwoman Joanne Filippone, overtime hours are by 740 this year, with 1,052 having been attributed to dispatching. The borough currently employs three dispatchers who work four shifts, necessitating overtime every day. Police overtime – which costs significantly more than dispatching overtime – is down this year by 18 hours. Borough officials are grappling with the pros and cons of maintaining the status quo or hiring an additional dispatcher. “The problem with hiring someone is not finding somebody, it’s keeping somebody,” said Filippone. In many cases, she said, dispatchers are prospective police officers, and if they cannot move from the dispatch desk to the sworn force in Lavallette, they leave when a position opens up in another town. Filling the fourth shift with an additional full time dispatcher could prove more costly than continuing the overtime arrangement, officials said, primarily because of the cost of employee benefits. For an employee taking a family plan, the annual premium can be as much as $33,000 per year. The borough council has ruled out switching to county-based dispatching, which would dissolve Lavallette’s in-house dispatchers in favor of having police dispatched by the Ocean County Sheriff’s Department. Mayor Walter LaCicero said feedback from other communities on county dispatching has been less-than-stellar, and many elderly residents rely on the local dispatchers to help coordinate checks on their welfare during the year.